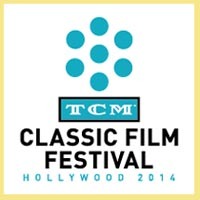 Classic film fans in Southern California are fortunate to have a wide variety of opportunities to see classic films, including Westerns, on a big screen. 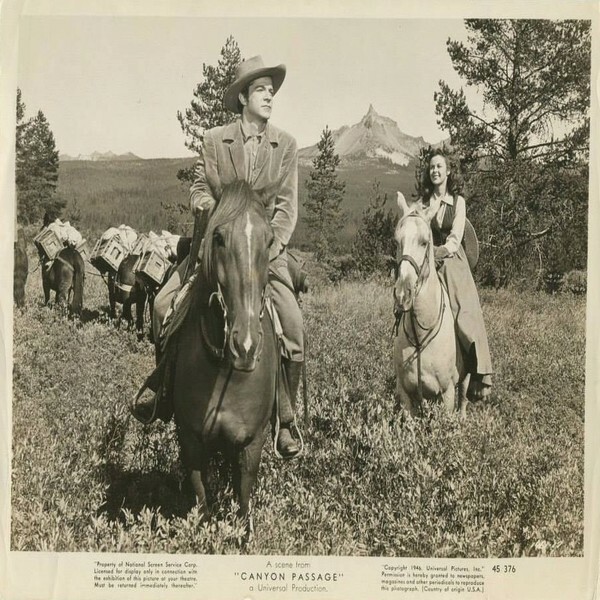 I recently had the chance to see a 35mm screening of the wonderful Western Canyon Passage (1946) at The Autry Museum of the American West. As I mentioned here in my Christmas column, the museum was founded by Gene Autry in 1988. 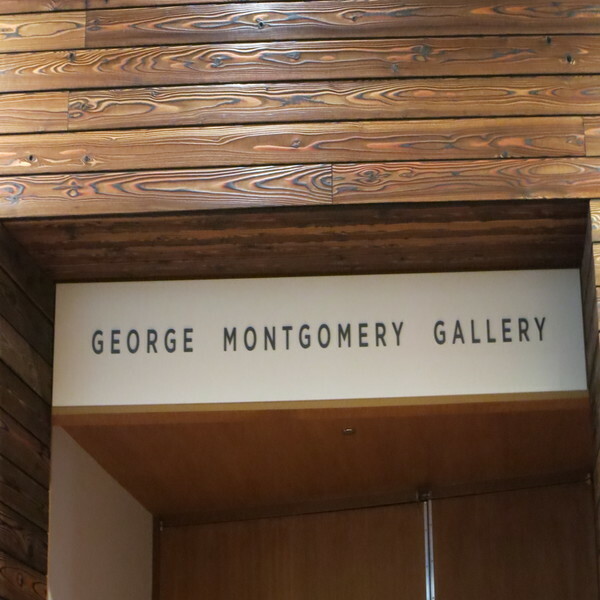 Along with his co-founders, his wife Jackie and Mr. and Mrs. Monte Hale, Gene built a museum to “exhibit and interpret the heritage of the West and show how it influenced America and the world.” The museum is also “dedicated to exploring an inclusive history of the American West,” including the histories of Indians and other minorities. The museum houses over 600,000 artifacts and archival materials. As part of chronicling myriad aspects of the Western experience, the museum devotes considerable space and resources to Western films — no surprise, given the career histories of cofounders Autry and Hale! More on the museum will follow later in this column. 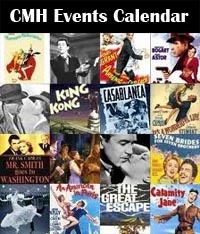 The museum has an ongoing film series, “What is a Western?” which is dedicated to exploring Westerns “and the ways in which they shape our understanding of the American West.” Canyon Passage was shown as part of this series, preceded by a very informative introduction by film historian Jeremy Arnold. 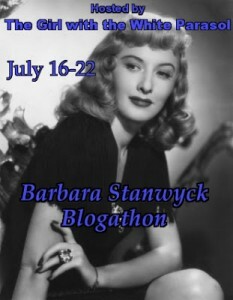 Jeremy shared the information that the film was based on a novel by Ernest Haycox, who also wrote the story which inspired Stagecoach (1939). 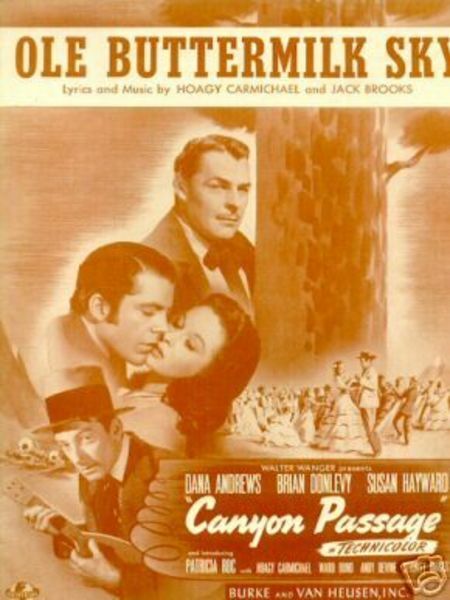 The film Canyon Passage was originally envisioned to serve as a reunion for Stagecoach stars John Wayne, Claire Trevor, and Thomas Mitchell. Director Jacques Tourneur had made a name for himself with low-budget RKO thrillers such as Cat People (1942) and I Walked with a Zombie (1944), and his most recent film was the Gothic romantic mystery Experiment Perilous. With Canyon Passage, Tourneur had the opportunities of a big budget and extensive location filming in Oregon, and he made the most of it. As Jeremy noted, part of the film’s uniqueness is its very green outdoor setting, filmed by Edward Cronjager at sites including Oregon’s Diamond Lake and Crater Lake. There have been relatively few films made in Oregon, especially as of the mid-’40s, and with so much of the film’s running time shot outdoors, it gives the movie a fresh and authentically Western feel in its depiction of a frontier town in 1856. When I first saw the film about 15 years ago, I was a bit confused by its loose plotting; indeed, Jeremy challenged viewers to be able to tell him the plot after the movie! I now see the storytelling style as quite modern, using the “elliptical” methods of a program like Mad Men which doesn’t show everything, only certain high points, and flits from character to character, with some key moments taking place offscreen. Although Logan (Andrews) and Lucy (Hayward) are front and center, Canyon Passage is truly the story of an entire frontier community. 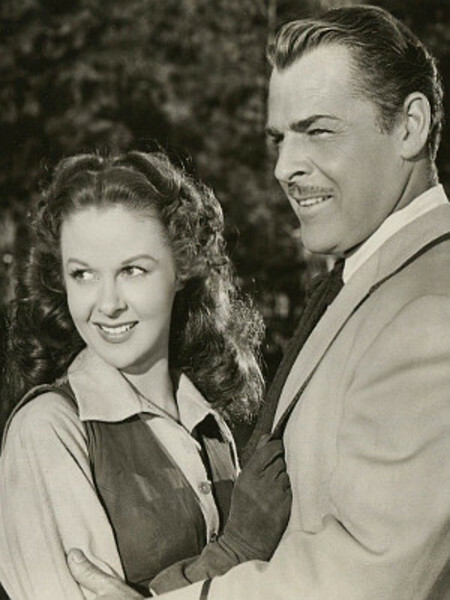 Dana Andrews and Susan Hayward Canyon Passage (1946). Andrews’ character is a merchant who runs a pack mule service to his remote Oregon town. He becomes better acquainted with Hayward’s Lucy, who’s engaged to his friend George (Donlevy), when he escorts her home from Portland. 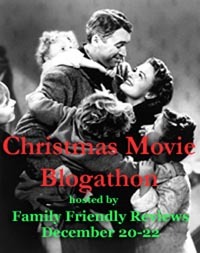 There is clearly an attraction between Logan and Lucy, yet Lucy remains loyal to George and Logan eventually proposes to Caroline (Patricia Roc), an orphaned young woman who lives with his friends the Dances (Andy Devine and Dorothy Peterson). Caroline’s acceptance of Logan’s proposal disappoints Vane (Victor Cutler), a young man who works for Logan who also loves Caroline. 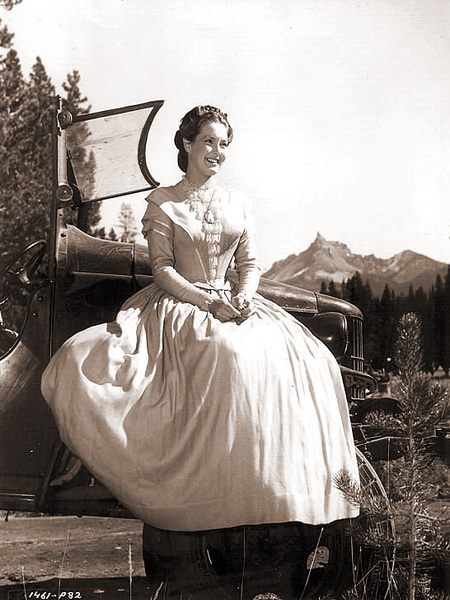 Patricia Roc in Canyon Passage (1946). 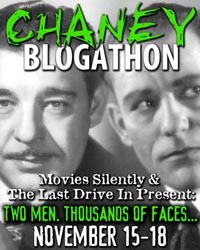 The plot, such as it is, is about the characters’ relationships and challenges, whether it’s gradually changing romantic alliances, George (Donlevy) and his gambling addiction, Logan dealing with a bully (Ward Bond, unforgettably evil), or an Indian uprising; we see the community at its best and worst, whether it’s the quick “frontier justice” trial of an accused murderer or the townspeople coming together to build a cabin for newlyweds. The maturity and kindness of most of the characters in their personal relationships is striking; Lucy and Logan remain committed to George and Caroline until freed by circumstances, and Logan unhesitatingly gives George $2000 to clear up his gambling debts before marrying Lucy. (Sadly, George’s addiction is such that he cannot take advantage of the chance at a fresh start.) The self-possessed Lucy may enjoy kissing Logan, at George’s instigation, but she’s no flirt. The respectful way the lead characters treat one another stands in stark contrast to the bullying of Honey Bragg (Bond), and one of the film’s tragedies is the way George slowly slips into emulating Bragg’s evil behavior himself. In my thinking, a great film reveals more to the viewer each time it’s seen. It’s been clear to me on previous viewings that George has innate laziness, along with the torments of addiction, but this time I was particularly struck by the way he exists outside the community. During the house raising he’s finely dressed, sitting under a tree with Lucy; it’s not simply that he won’t get his hands dirty with hard work, but emotionally he doesn’t feel connected to the others or desire to help them, as he already has one foot “out the door” of the town. 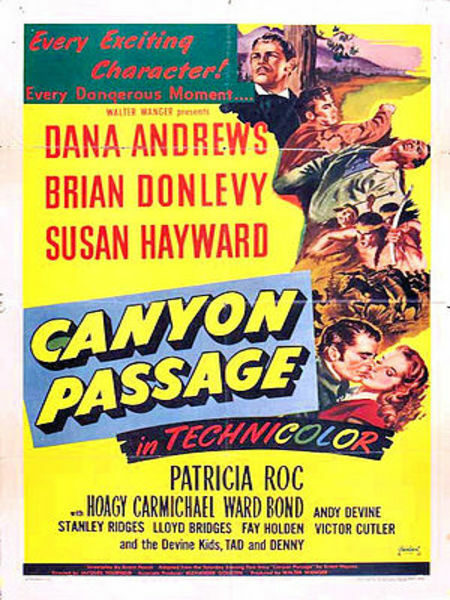 Foreign Movie Poster for Canyon Passage (1946). I also particularly loved the scene where Logan and Vane find Caroline wandering in the forest after the Indian attack. The way Vane says “Caroline,” with relief, love, and longing in his voice, really affected me — as it does Caroline in the film. She looks at Vane and, despite her trauma-induced confusion, seems to see him clearly for the first time; indeed, Vane’s gentleness seems to help snap her back to reality. Given the lack of ardor in Logan’s original proposal to Caroline, asking if she likes him enough to marry him, it was fitting that she politely released him from his obligation in favor of Vane. Not only would this give Caroline her goal of a permanent home, but she would also have a man who truly loved her; Logan, meanwhile, is clearly better matched with the more adventurous Lucy, who is willing to spend days on the trail and can support Logan’s need to travel as he builds his business. As Logan leaves the homestead, in the distance we see him shaking Vane’s hand, giving him his blessing, and we know that all will be well for both couples. One of the joys of a film of this era is the cast; besides those actors already named, the town is filled with great faces like Hoagy Carmichael, Lloyd Bridges, Fay Holden, Stanley Ridges, and Halliwell Hobbes. 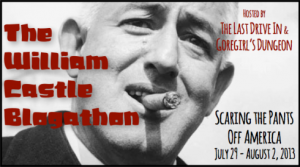 Carmichael plays a key role as a sort of roving minstrel and town spy/gossip; he co-wrote the Oscar-nominated “Ole Buttermilk Sky” for this film. The many talented people who made this film combined efforts to provide a richly rewarding viewing experience, and as the final notes of “Ole Buttermilk Sky” fade away, the viewer is both sad to part ways with the characters yet very glad to have spent time in their company. I hope to return to the Autry for future Western screenings, starting with Budd Boetticher’s The Tall T (1957) in a few weeks. Carrillo, besides being well known for playing Pancho in the TV Western The Cisco Kid, was also a significant figure in “real” California history; he was a preservationist who served on the State Beach and Parks Commission for years and played a key role in the state taking over Hearst Castle. Today his ranch is a museum, and a state park and an elementary school are named in his honor. 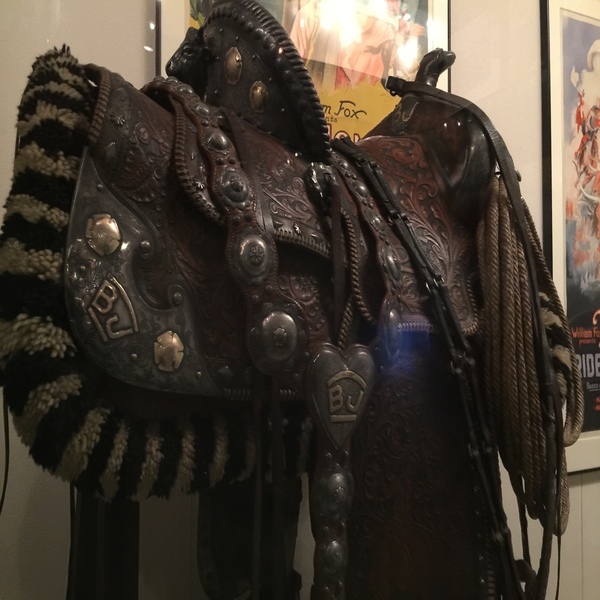 The museum has many other film-related treasures, including costumes worn by John Wayne and Alan Ladd, Indian costumes donated by Iron Eyes Cody, a Norman Rockwell painting of Gary Cooper, and Western gear worn by Charles Starrett, Johnny Mack Brown, Hoot Gibson, Russell Hayden, and more. I encourage my fellow Western fans who have the opportunity to go to Griffith Park in Los Angeles and pay a visit to The Autry! 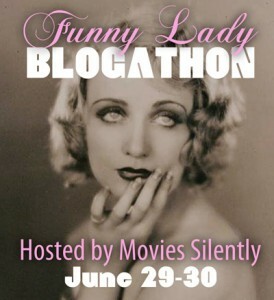 Laura can be found at her blog, Laura’s Miscellaneous Musings, where she’s been writing about movies since 2005, and on Twitter at @LaurasMiscMovie. 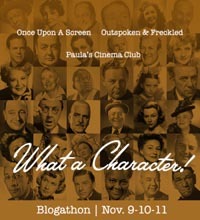 A lifelong film fan, Laura loves the classics including Disney, Film Noir, Musicals, and Westerns. 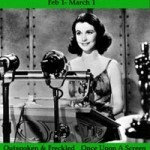 She regularly covers Southern California classic film festivals. 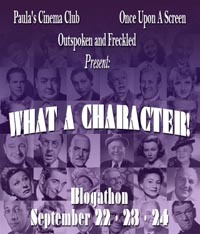 Laura will scribe on all things western at the ‘Western RoundUp’ for CMH. 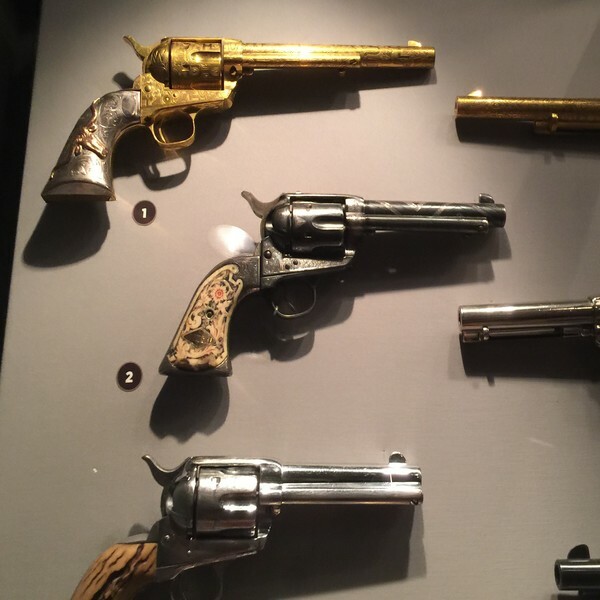 This entry was posted in Museums, Posts by Laura Grieve, Western RoundUp and tagged Gene Autry, Museums, western movies. Bookmark the permalink. Another wonderful piece of writing, Laura, that I enjoyed so much! Most of your western-loving readers will agree that “CANYON PASSAGE” is both a terrific western and a very fine movie of any genre. You have teased out some delightful perceptions about the characters and make the very good point that the more times one sees the movie the more rewarding the experience each time. An unusual role for English rose, Patricia Roc, who was a beautiful woman and magnetic presence so often in her films. As you know, I and my family visited the Autry in 2000 and it was a highlight of our trip through California. At that time there was a superb exhibition about the earliest Chinese migrants in California and the hardships they endured. Superbly presented, it affected my wife in particular deeply. 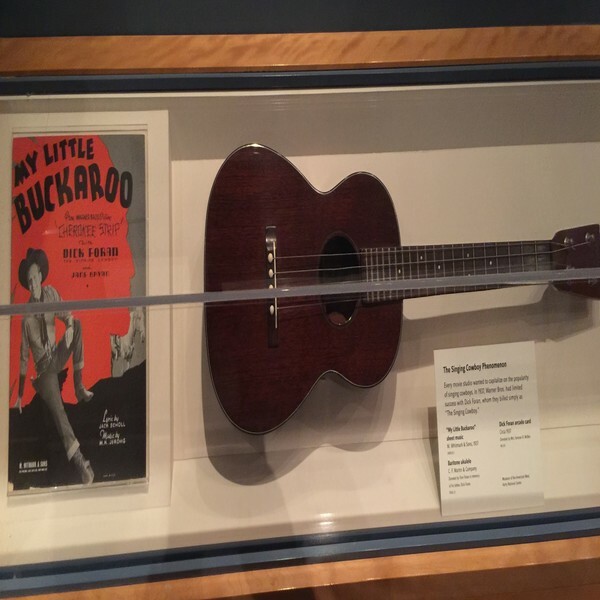 I also loved seeing Buck Jones’ saddle and six-gun and the outfits worn by so many favourites (including Bill Elliott). I must revisit the numerous photos I took of all those outfits and exhibits. Part of our trip also took us to Old Town San Diego later and we saw the governor’s mansion which had, I believe, been occupied by Leo Carrillo’s great-grandfather – the first provisional governor of California. Thank you so much for sharing your thoughts, Jerry! 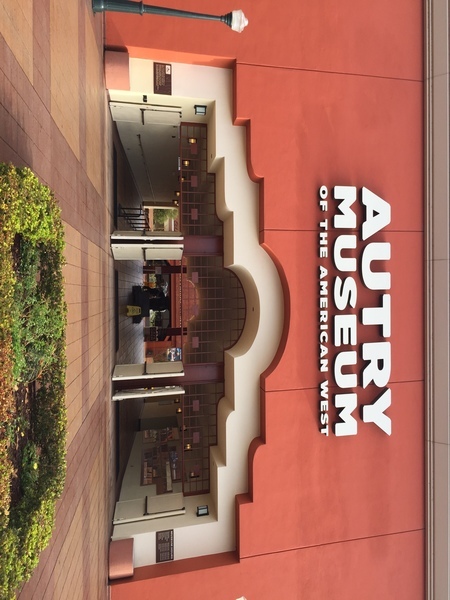 I’m delighted that you enjoyed it, especially as you have been to the Autry! I really love this movie and am glad to have you add your endorsement; I hope more people will make the effort to check it out. 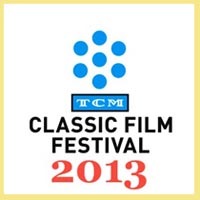 I’m very glad that it seems like it’s increasingly recognized in the classic film community as the superb film it is. You saw such great things on your trip to California! I’m definitely hoping to visit the Carrillo Ranch at some point. It’s kind of fun that I live just a few miles from Carrillo Elementary School. I enjoyed Laura’s post very much! 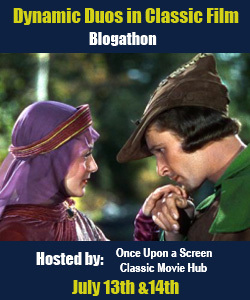 It’s always nice to learn about classic films that I’m unfamiliar with. I’ll add this one to my list. 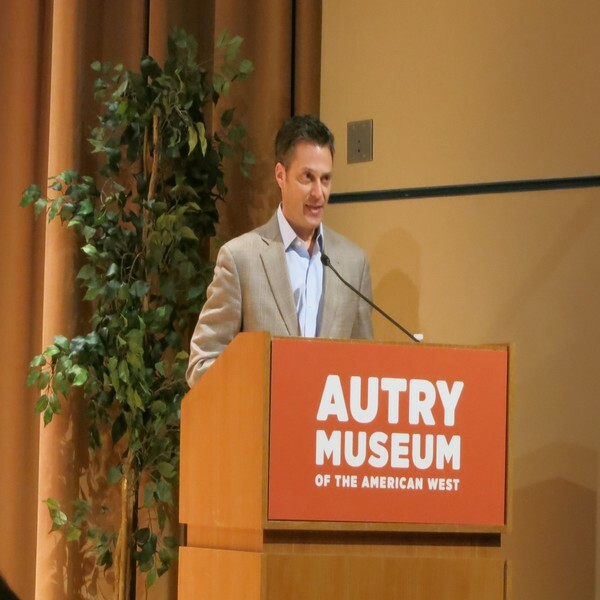 I’ve been to the Autry a few times-about seven years ago I was there to see Glenn Ford’s “3:10 to Yuma”, and Glenn’s son, Peter Ford spoke about the film. The last two summers I’ve attended outdoor screenings as part of Showtime’s “Eat, See, Hear” series, and the ticket included free entry to the Autry Museum for a couple of hours prior to the film. The permanent exhibits are wonderful, and the changing insights on subjects such as Latino culture are very interesting. 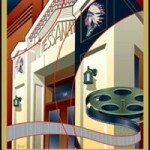 Once, I even attended a meeting there in one of the conference rooms, but didn’t get to explore the museum until a couple of years later (I worked for a historical society and it was a meeting for L.A. Area archivists). Great post and photos; thanks again! Thank you so much, Amy, I’m delighted you enjoyed the post. Thank you for sharing your experiences at the Autry! How wonderful you were able to hear Peter Ford speak. I was lucky to see him introduce a double bill of Ford films at the Noir City Film Festival several years ago. 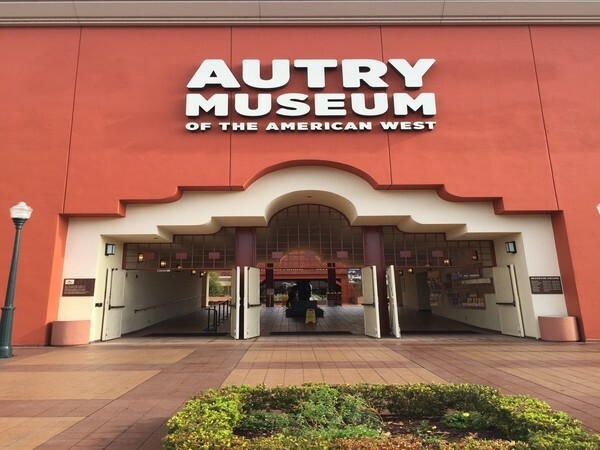 As you describe, the Autry really does a fine job with both their permanent exhibits and the rotating displays. I hope the comments by you and Jerry here will help inspire more Western fans to visit the museum! 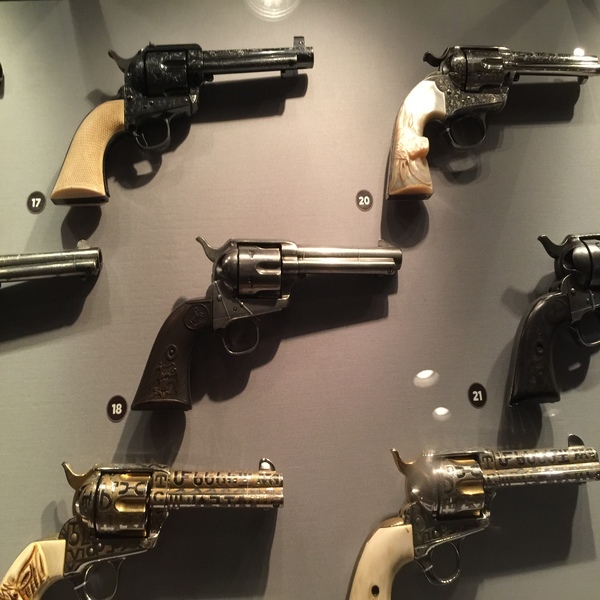 Laura, I so enjoyed your post on the Autry Museum and CANYON PASSAGE. 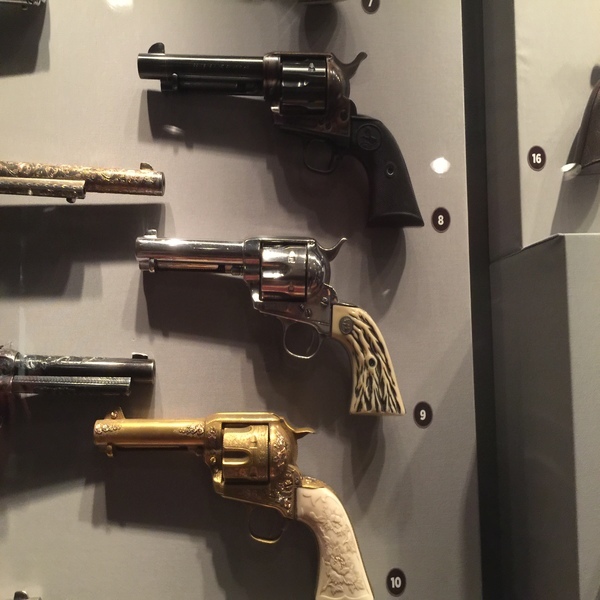 Again, I’m envious of you being able to attend such a wonderful museum and view a really good Western. It makes me want to pull out CANYON PASSAGE and watch it again. I’ve always been a fan of Susan Hayward and Dana Andrews and they have such wonderful acting chemistry here. What a cast, needless to say. Also, I can’t think of another Western movie that was filmed in this particular location. Of course, there were others filmed in Oregon, and it is beautiful country. I would like to recommend two other Westerns that Susan Hayward was in. RAWHIDE(1951) and GARDEN OF EVIL(1954), which are both top notch. Looking forward to your next write-up.